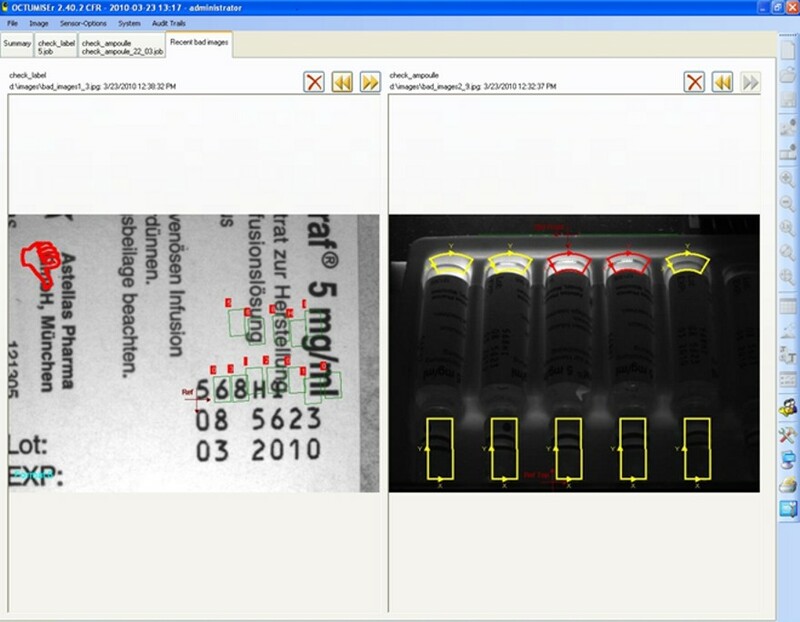 OCTUMISEr- perfect visualization, parameterization and operation of In-Sight smart cameras from Cognex. 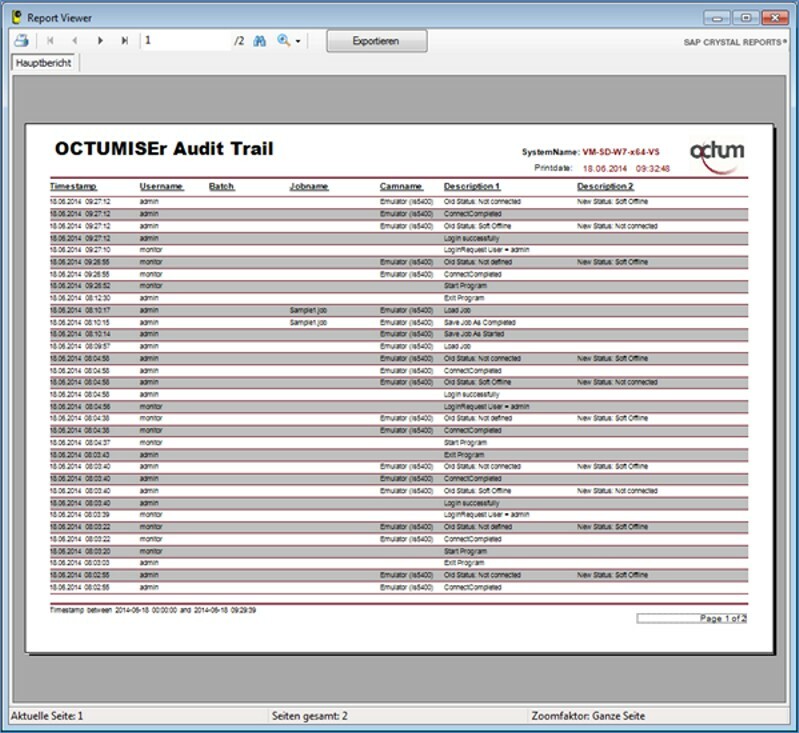 The OCTUMISEr system software is a central operating, monitoring and parameterization software for all connected inspection stations of a production line. 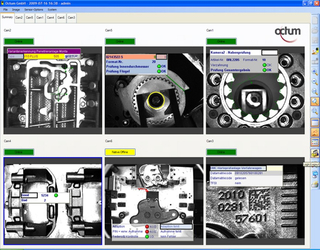 OCTUMISEr manages up to 99 decentral cameras of the In-Sight family from Cognex, independently of the concrete application that they are currently performing (assembly, dimension, surface inspection, reading of 1D, 2D code, OCR/OCV, label inspection, color recognition, etc.). 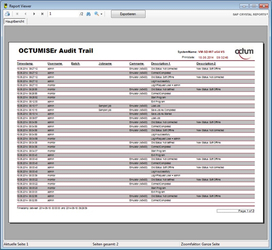 OCTUMISEr contains the complete functional scope of the Cognex In-Sight Explorer with all evaluation functions in unchanged form. OCTUMISEr Basis – visualization for every application. 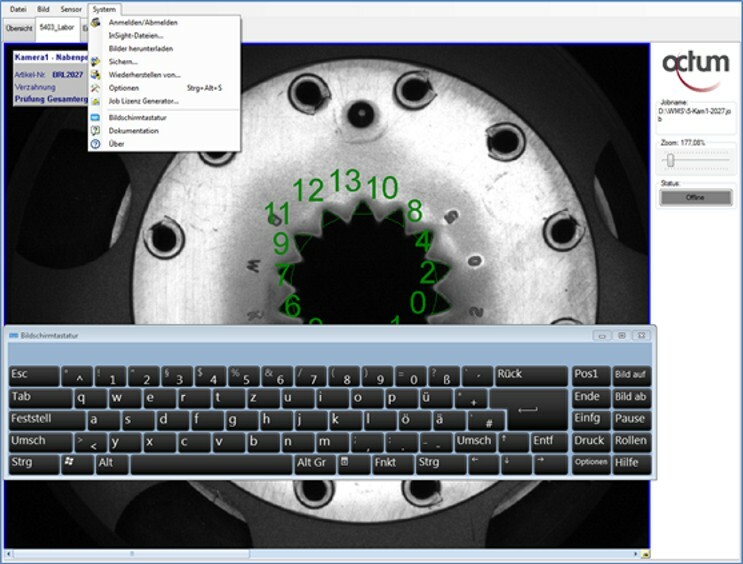 OCTUMISEr Basis offers the following advantages in comparison with visualization with In-Sight Explorer or the VisionView visualization station from Cognex. 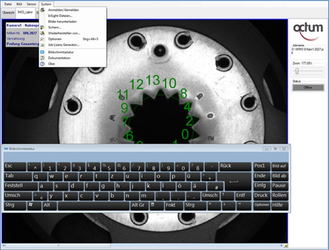 Integrated image storage with an without overlay displays including memory space monitoring for images and inspection programs. 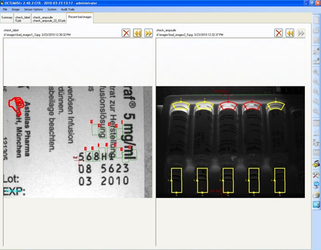 OCTUMISEr CFR – visualization for pharmaceutical and medical technology. Option: customer domain connection with active directory for Microsoft Windows Server (Kerberos). Standard command scope according to description. Also other commands according to specification and special offer can be implemented at a surcharge. 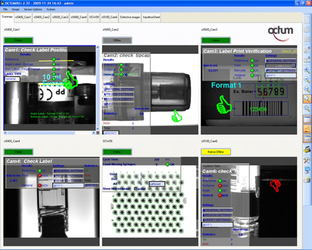 Total communication functionality is also logged within the CFR version independently of the logged in user. 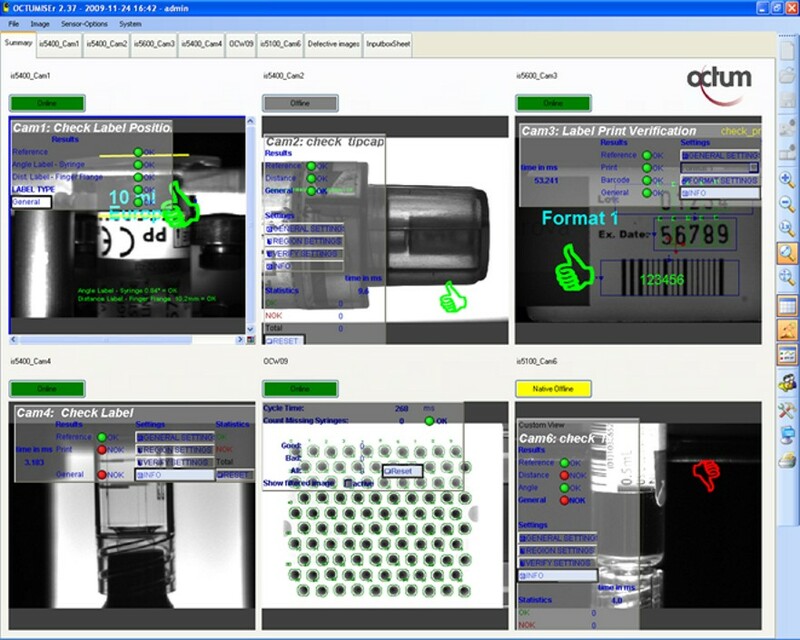 Several users are also logged separately with several interface cards.